Let me start by saying that the products featured in this post were provided to me free of charge courtesy of Crispy Green. This post may have affiliate links but this in no way will influence the review to follow and all opinions are my own. I never really gave any consideration to freeze-dried fruit other than my outdoor camping friends have praised it for years. After all these years, I can honestly say that I understand why it is so popular – it is really good! Let’s back up to a conversation that I was having with Jason a couple weeks ago about dehydrated fruit and meat, It was mentioned that a favorite snack of his was beef sticks, cheese and dried fruit. I thought at the time that he was a step below in the evolution of his taste buds but have found that really I was the one low on the taste evolution scale. Crispy Green was kind enough to send us 3 packages of their Crispy Fruit in Tangerine, Apple and Mango. The varieties that they offer are wide-ranging and include Asian pear, banana, cantaloupe and pineapple as well as tangerine, apple and mango. The fruit is kosher certified, peanut tree nut free, gluten-free, dairy free and vegan – the reason for this is that all that is included is 100% pure fruit dehydrated. As I opened the packages I was unsure what to expect and I was please too see that the fruit was recognizable as the shape that I am accustom to. The Tangerine looked like it had all the moisture taken out, and as I tasted it I noticed how the natural sweetness came through. The Mango’s were sliced in bite size pieces and had a hint of sweet. By far my favorite was the Apples, they were the perfect crispness with a hint of sweet. While I had not given much consideration to dried fruit in the past, I am much more open to not only trying future fruits but I am even considering purchasing a dehydration system of my own to dehydrate my own fruits. I think I have come a long way in my evolutionary journey of tastes and look ahead to other culinary snacks. I encourage you to visit CrispyGreen.com and on Facebook, Twitter, Pinterest or to purchase on Amazon. 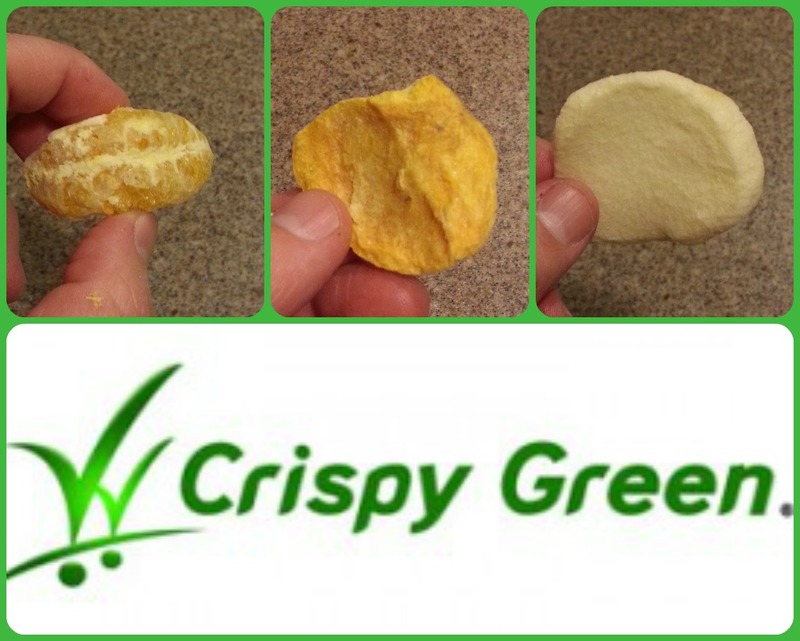 GIVEAWAY: Crispy Green is offering a 16 pack of Crispy Fruit to my readers! (1) lucky winner will be selected at random to win this 16 pack assortment of fruit and Each box contains 8 bags of Crispy Apples, 4 bars Crispy Asian Pears, and 4 bags of Crispy Tangerines. I will be randomly choosing 1 person on August 26 (8/26/2015) to receive this fun & easy summer treat! Open to residents in the US only. To enter complete the entries below! Winner will be notified by me by email and prize will be fulfilled by Crispy Green! Remember you have 48 hours to claim prize, or I will choose another winner. GOOD LUCK!!! This entry was posted in Food and Drink Products, Giveaways, Gluten-Free, Reviews and tagged food reviews, Gluten free on July 28, 2015 by Jennifer. The tangerine flavor sounds great. I’m most excited to try Crispy Tangerines. 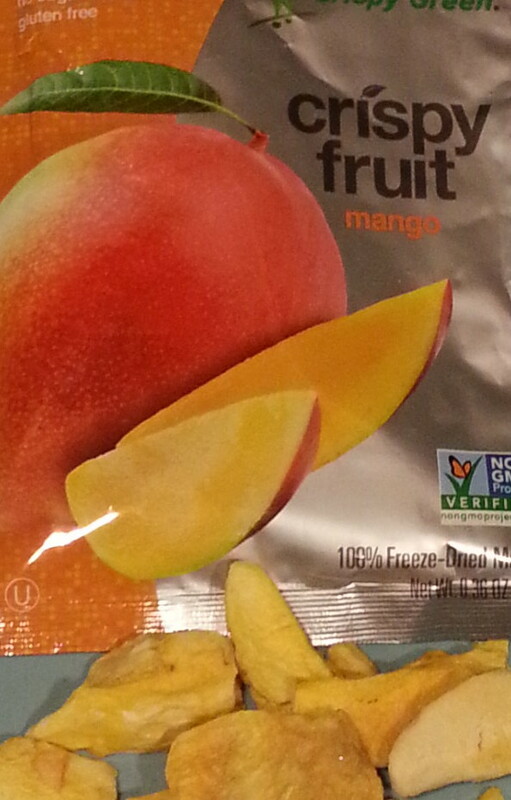 I am most excited to try mango. I would definitely love to try the crispy apples ! Definitely mango, my little one would eat up the apples. I would love to try the Crispy Tangerines. I would love to try all but mostly tangerine! I’m most excited to try the crispy apples! I’m most excited to try the crispy tangerines flavor. They all sound so delicious. I’d like to try Crispy Tangerines. Those are really unique and I love tangerines. The Crispy Asian Pears! I love me some pears. Probably the Crispy Tangerines. Don’t really like pears, but would try them this way to see if that would be a method to enjoy them. Oh they all sound so good! I think I would try the Crispy Tangerines first! I am most excited to try the Apple flavor from Crispy Green Fruit. I would like to try the apples. Crispy Asian Pear is the flavor I’m most excited to try! Yum! I would love to try any of them. Leaning more toward Tangerine I think. Crispy Asian Pears! But they all sound delicious! I am most excited to try Crispy Apple. I would love to try the Pear variety – these would be great to put in my kids’ lunch! I am excited to try the crispy apples! They sound really good. I am most excited to try the Crispy Tangerines. The tangerine sounds amazing! Thank you! I’d like the Crispy Asian Pears. 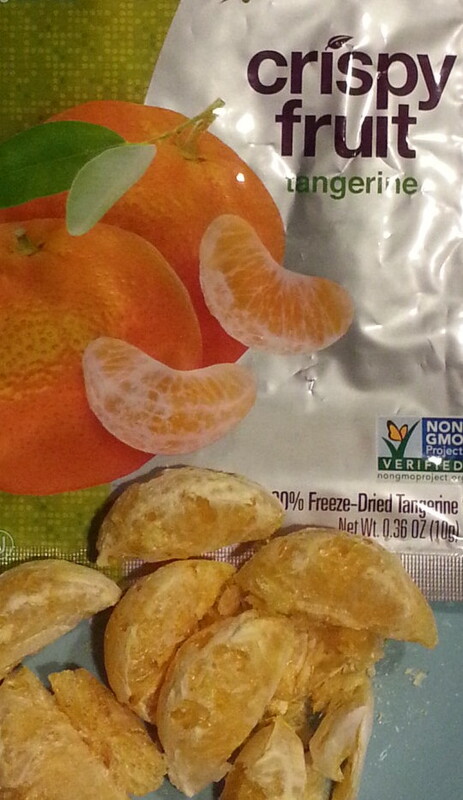 I am most excited about the Crispy Tangerine version. apples no doubt about it! The crispy apples sound really good! I am most excited to try the Crispy Apple. I would like to try the pear. I’ll go with the pears!